The ECK model is designed to be installed in a corner, with a one-piece L-shaped window to allow the optimum fire view from both front and sides. Its special configuration makes the ECK a unique and distinctive fireplace, that wouldn't look out of place in an ultra modern home. 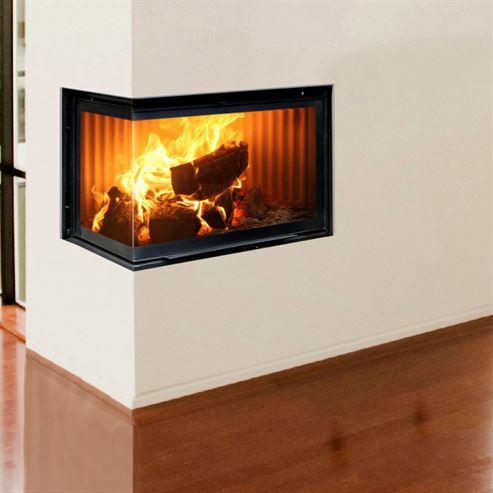 It comes as standard with an integral jacket for convection and is available as either a left- or right hand corner this stove is suitable for any space.